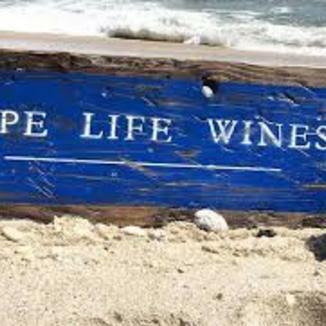 When we were offered every last case of today’s delicious, Super QPR (Quality to Price Ratio) Ripe Life Wines 2014 “Clambake” Mendocino County Chardonnay, we couldn’t resist. We took all of it, and we’re making it available to you at a very attractive price. This wine drinks well above its price class. This wine glistens like a gemstone with its peridot hue and jewel-like clarity. The nose is clean and subdued, featuring the fruit since it is unoaked. You’ll find apple, pear, quince, apricot, and some persimmon. On the palate, in addition to the same apple, pear, and apricot, there are tropical fruit notes such as cantaloupe and papaya. There’s plenty of butter in there as well. This is why people are drawn to unoaked Chardonnay: The stainless steel vessel retains the bright acidity, while the malolactic fermentation gives it a creamy complexion. As the name implies, your favorite shellfish and a carafe of melted butter are all that is required. 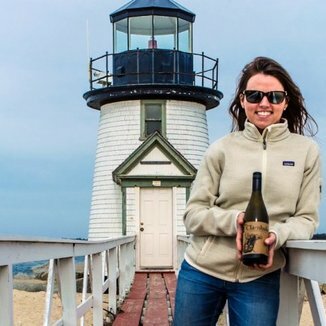 Winemaker Mary McAuley grew up in Ocean County, New Jersey, where weekend clambakes were a social affair to be remembered. 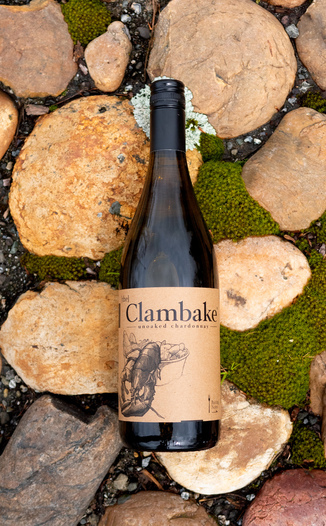 Mary’s weekend clambakes were “a culinary tradition that is all about celebrating the natural flavors of the local bounty.” That inspired her winemaking. Mary’s Chardonnay is meant to be enjoyed with food - of all sorts. It is particularly well suited to spring and summertime seafood and appetizer pairings. This wine is surprisingly creamy for a stainless steel tank fermented Chardonnay. If we were to taste the wine without knowing how it was fermented, we would have guessed that it spent some time in oak. This wine is creamy and crisp, giving it broad appeal, and easy pairing. Highly recommended - but very limited. Enjoy! This wine glistens like a gemstone with it’s peridot hue and jewel-like clarity. Apple, pear, quince, apricot, and some persimmon. Apple, pear, apricot, tropical fruit, cantaloupe, papaya, and butter. 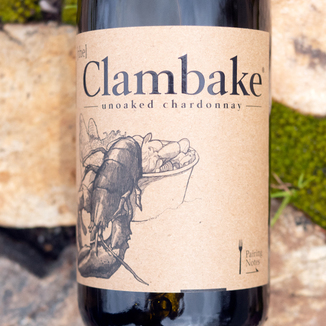 Retains bright acidity, while the malolactic fermentation gives it a creamy complexion. As the name implies, your favorite shellfish and a carafe of melted butter are all that is required.